Spring is officially here and Easter is only a week away. 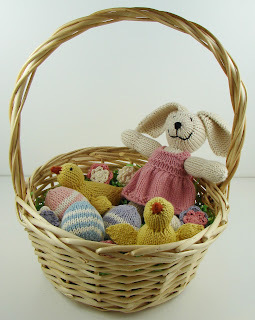 Fitting with the holiday, I thought I'd try to make a completely knitted (and crocheted) Easter basket. A knitted bunny is an obvious addition to an Easter basket, so I had to include one of mine. She looks right at home and unlike a chocolate bunny, will last for years to come. 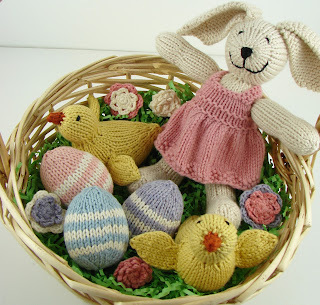 The knitted chicks look adorable as well. The flowers are actually some of my crochet hair clips. If you stick the clip down into the grass, they look like little flowers growing in the basket. 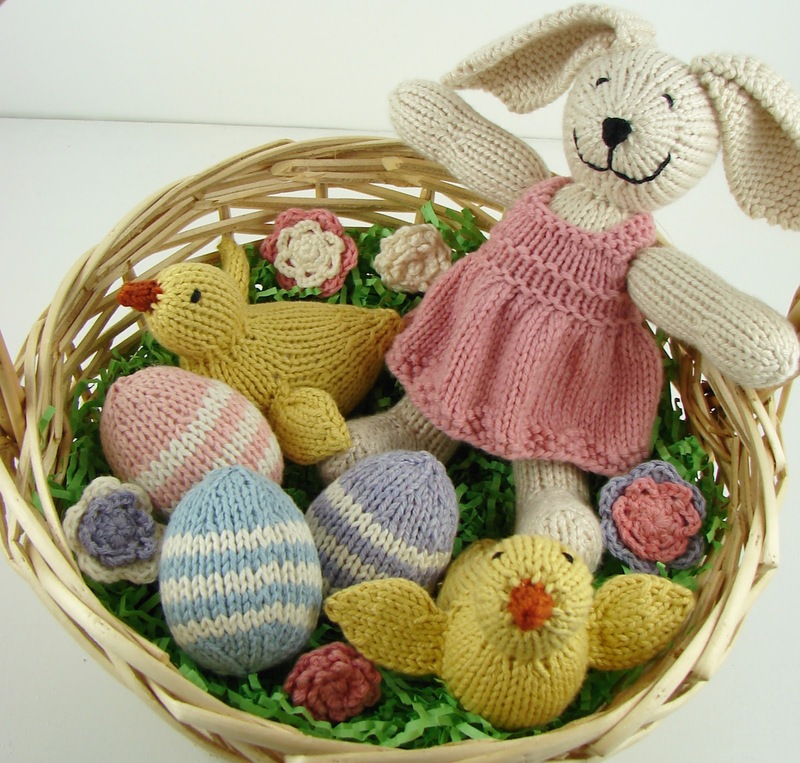 Not only are they lovely decorations, but they are functional accessories for after Easter. This year I decided to attempt to make some knitted eggs. After a few attempts I got the shape the way I wanted. I plan on putting the pattern up here for free when I get a chance. I was very pleased with how lovely everything looked in a basket! Now I'm off to knit more chicks. I'm trying to get as many done as I can before Easter and the spring sale at Glory days. Happy spring everyone!